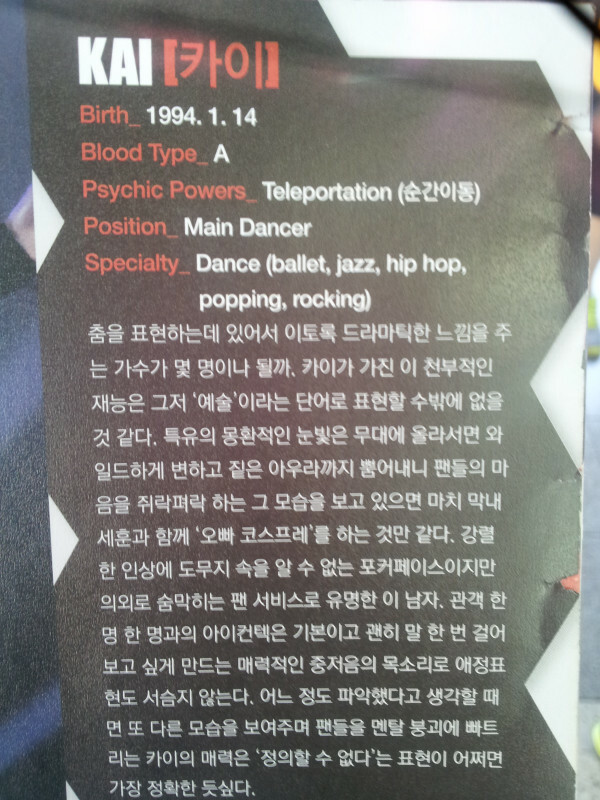 Oh My Gosh ~ EXO were featured in Inkigayo magazine and I just love the way that they described Kai! EXO were featured in the June 2012 issue of Inkigayo magazine. 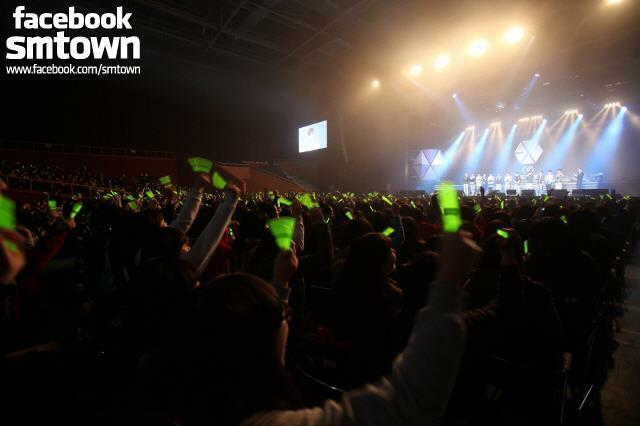 Photos, videos and news from EXO‘s debut showcase can be seen all here. 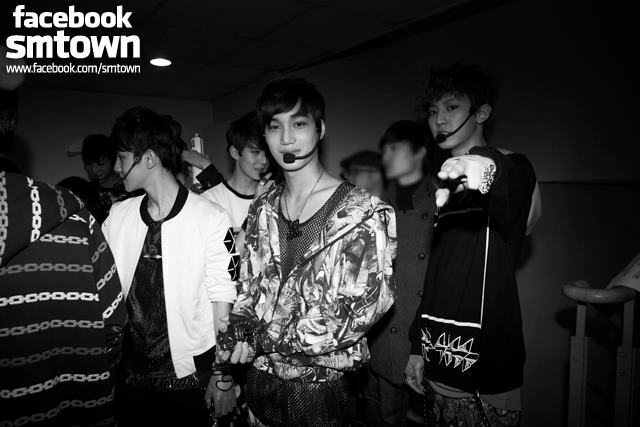 EXO held their highly anticipated showcase today at the University of International Business and Economics in Beijing. The event was fun and life-changing for all who attended as it was the second time all twelve members of EXO all stood together on stage to perform and show their different personalities. 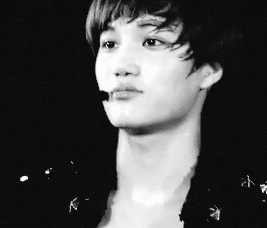 All footage in this post is from EXO’s Showcase held in China on 1st April 2012. Videos from the showcase are as follows. 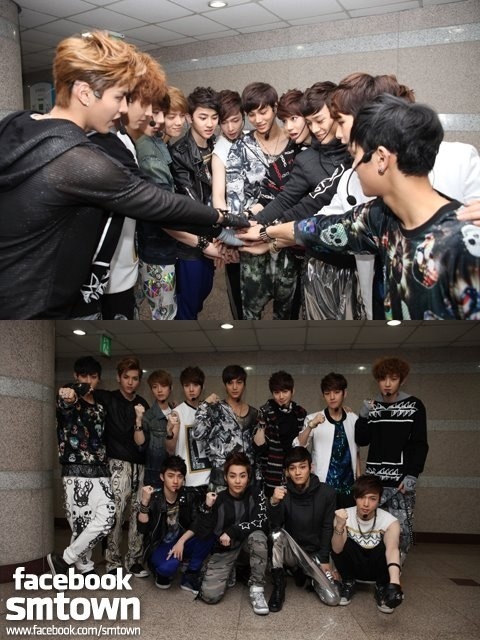 While in China, the 12 members of EXO held a press conference to talk about their plans as a group for the future. Although most of the boys were seemingly nervous in the press conference, after a few questions the members were well underway with talking about how the Chinese members have found Korea; the advice they have been given by their sunbae, Super Junior‘s Leeteuk and TVXQ‘s Yunho; their trainee days and how they plan to move on a group together once they start promotions for their upcoming mini-album. Check out the full video of the press conference below. As the members of EXO were travelling between their two showcases, two fellow members Sehun and Luhan were seen holding hands with eachother showing their brotherly closeness. Despite the fact that Sehun is in EXO-K and Luhan is in EXO-M, fans have been shipping this fictional couple a lot and are sad that the two will have to separated for promotions for the Korean and Chinese album coming out soon. It seems that EXO may have shown what looked to be the music video for their rumoured debut single: ‘MAMA‘. 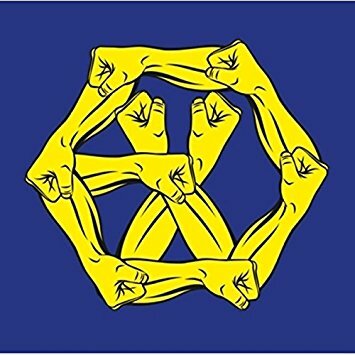 It was just yesterday that EXO held their showcase at the Olympic Hall in Seoul and many fancams have been uploaded to share the amazing show with the world. 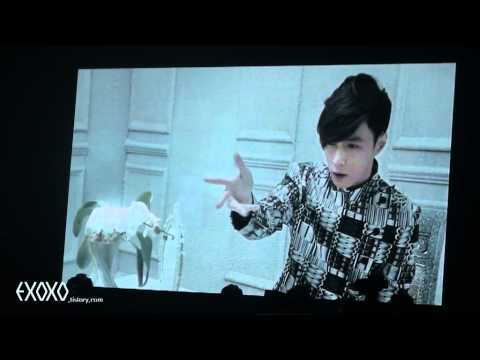 There is also footage that was shared showing a teaser for EXO’s song ‘MAMA’. An music video maybe? Check out the interesting footage below. SM Entertainment has just released an official video containing footage from EXO’s showcase which was held at the Olympic Hall in Seoul earlier on today. The video is 4minutes; 50secs long. In this video we see close-up performances from the EXO members performing the teasers we all know and love and live performances of What is Love, Into Your World, History, Mama, etc. At the end of the video SM puts out a message that the full HD version of the showcase will be released on April 5th! I’m super excited for it! Check out EXO’s Showcase Highlight below. 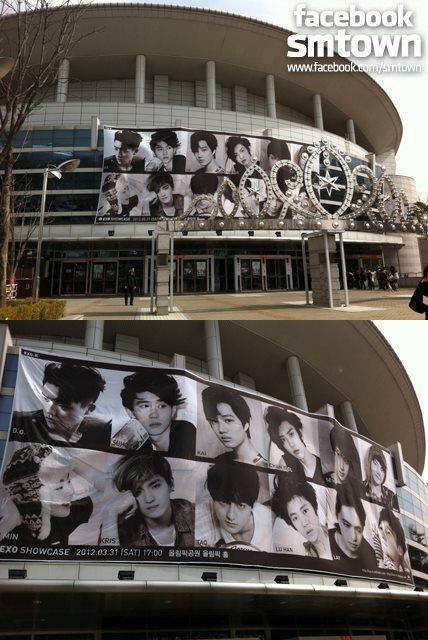 EXO held their highly anticipated showcase today at the Olympic Hall in Seoul. The event was fun and life-changing for all who attended as it was the first time all twelve members of EXO all stood together on stage to perform and show their different personalities. With Leeteuk MC-ing, the showcase full of humour and amazing talent was shown on stage by all members.